Join the Embassy Series at the Mexican Cultural Institute for an event with PaisaJes Sonoros: Paulina Derbez (violin) and Araceli Salazar (piano). On November 7 we travel to Old Mexico to be immersed in the musical compositions of both Mexican and European composers performed by a dynamic Mexican Duo on violin and piano. 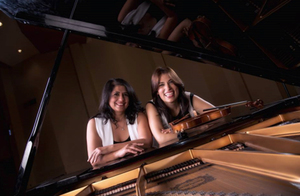 This dynamic Mexican Duo will play a wonderful program of Mexican and European composers. They are superb representatives of Mexican Chamber music of the 20th a nd 21st century and their performance will take place in the magnificent Mexican Cultural Institute Music Room, which is decorated with art and is a replica of the Fontainbleau mansion of France. PAISAJES SONOROS is a rare treat and will feature composers such as Revueltas, Cesar Franck, Manuel Ponce and others. This concert takes place in the magnificent Music Room of one of 16th Street's most spectacular buildings—the Mexican Cultural Institute. 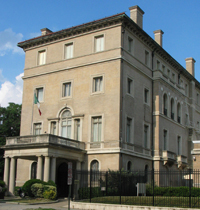 This building was designed by the same architects who designed the West Wing of the White House. 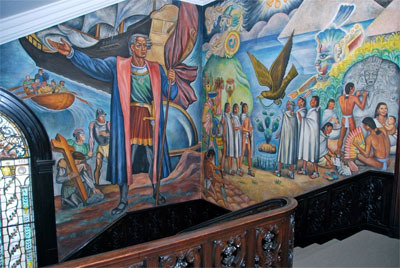 The splendor of the building is even further enhanced by the majestic murals and decor that bathe you in Mexico's history, culture and traditions as you explore the building's interior. Wharton Club Members and guests receive preferred seating; only limited number of seats left. This event WILL sell out, so don't wait. Transportation: Limited parking on the grounds of the Institute.